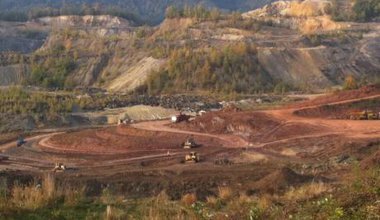 While Romanians protested against the Rosia Montana mining project, another similar cyanide-based project was being surreptitiously given the go-ahead in Certejul de Sus. 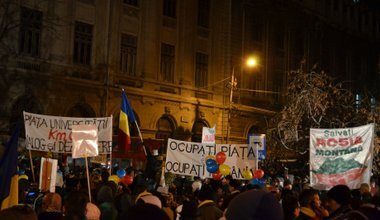 Romania and Bulgaria: occupy the transition! 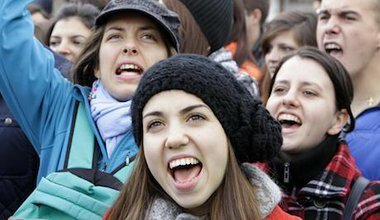 Last year’s mass protests in Romania and Bulgaria gave citizens a taste of how together they can transform public life. Some are asking for more. 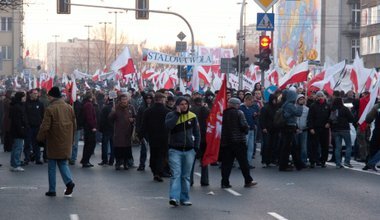 This 21 December, around 4,000 people took to the streets of Bucharest to commemorate the 1989 revolution. 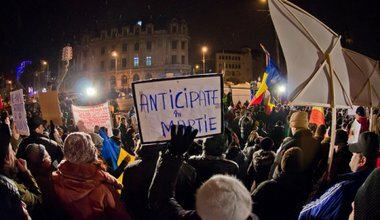 Protesters were in the streets out of a sense of responsibility for those who died in 1989 to establish a democratic system in Romania. That mission is not yet accomplished. 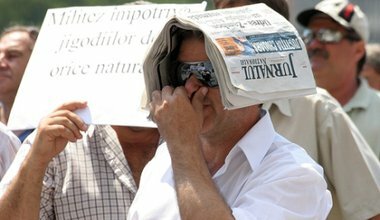 "The Revolution begins with Rosia Montana"
A new law going through the Romanian parliament allowing a Canadian mining company to forcefully expropriate the homes of citizens in order to construct Europe's biggest gold mine is inspiring some of the country's most significant protests since the fall of communism.